Jeff Weiss Jeff has held a broad spectrum of positions within the IT field for over 30 years. Jeff has owned and operated his own IT business and has installed and supported networks and data centers at almost every level of the IT world. 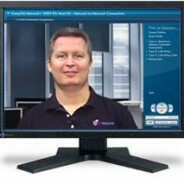 Jeff has recently authored both courseware and exams for Microsoft. For the past 15 years, Jeff has worked as a consultant and trainer with a focus on the design of Enterprise Architecture, as well as Windows and VMware networks.